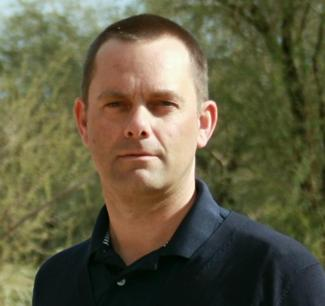 Originally from England, is based in Scottsdale, AZ where he works with professionals, serious golfers and golfers with serious problems. Terrys passion is researching "the difference that makes the difference" what small changes can be made to make a big improvement. He is also excited to give this back to the industry through "coach the coaches" programs. As such Terry is excited with his new joint-project which is The Sports Performance University which will bring cutting edge sports coaching education from industry leaders to The World. Terry has been coaching golf for 20 years. Throughout his career he has consistently been in pursuit of cutting edge information and approaches to helping people get better at this frequently challenging and sometimes frustrating game that we play. In the course of this pursuit he has learned from the best names not only within but also from fields of human performance outside of golf. Terry offers an approach to golf instruction that includes the mantra "if you are not assessing you are guessing". He is regarded as one of the leaders in the use of technology to help in the diagnosis and training of the golfer. It was because of this that he was recently featured in GOLF Magazines "Innovators of the Year" special. Terry is an expert at using the AMM/TPI3D system that is used by Titleist to research golf swings, and is also a Level 2 Trackman certified user. The combination of AMM and Trackman measures everything from the Feet to the ball leaving nothing to chance. Terry "hangs his hat on evidence based coaching rather than traditional teaching. To complement the technical and biomechanics based coaching, Terrys greatest gift is to communicate science into practical easily implemented improvement. His qualifications include British PGA Membership, He is has taken every TPI (Titleist Performance Institute) Course that he is eligible for and has reached the highest level 3 standing in TPI Fitness, Golf Instruction, Mechanics, and Junior Coaching in addition to their Golf Biomechanist qualification. Terry also completed the CHEK Institute's Golf Biomechanist qualification, Nutrition and Lifestyle Coaching Level 2 and the Exercise Coach program. Outside of Golf and Fitness education Terry was lucky enough to study NLP (Neuro Linguistic Programming) under the direction of the Co-Founder Dr John Grinder. As such he achieved a Post Graduate Certificate in NLP along with being a NLP Trainer, and Master Practitioner. Early in his teaching career Terry worked for David Leadbetter, and after qualifying as a "Leadbetter Certified Instructor" he went on to become the Academy Director of the largest Leadbetter Academy in Europe. As such he is proud to have been responsible for coaching the coaches, many of whom have gone on to become World-Class coaches in their own right. 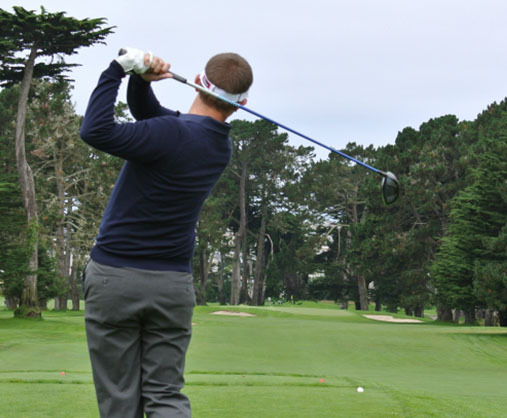 After moving to the USA Terry Founded the High-Tech Indoor Studio San Francisco Golf Performance Center, which is a busy lesson giving facility in the heart of Downtown. Simultaneously Terry also taught for a number of years at the recent US Open venue The Olympic Club of San Francisco. Terry sits on the Education Advisory Board for the Titleist Performance Institute (TPI), and the Advisory Board for KVEST (a motion capture company) Terry has been featured in magazines and TV shows on multiple continents and travels regularly to consult on the PGA Tour and with players and groups across the world. He will appear soon in a Cable TV show that has already been filmed called the Tim Ferriss Experiment. Coaching / Scoring/ Taking it to the course - Available as a Half-Day or Full Day experience including on-course play. Corporate Events - Golf & Science events for groups. Please use the contact form for more information on pricing, and to book a session or event. © 2016 Terry Rowles Golf. All Rights Reserved.